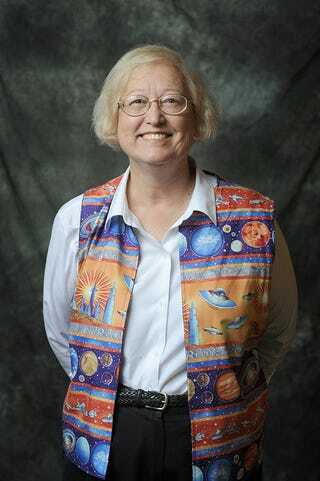 All Hail Your 2011 Nebula Awards Grand Master: Connie Willis! Connie Willis has joined the illustrious company of Ursula K. LeGuin and Isaac Asimov — she's the author is the 2011 winner of the Damon Knight Memorial Grand Master Award. The Science Fiction and Fantasy Writers of America presents this honor annually for lifetime achievement in science fiction and fantasy, at the Nebula ceremony in May. Being named a Nebula Grand Master is an unimaginable honor–quite literally. When I began writing science fiction as a teenager, my biggest goal was to actually sell a story. My greatest castles-in-the-air fantasy was to someday win a Nebula Award. If you'd told that teenaged girl that she'd someday end up a Nebula Grand Master, with her named linked to those of the authors she worshiped, demigods like Jack Williamson, Ray Bradbury, Joe Haldeman, and Robert A. Heinlein, she'd NEVER have believed it. This latest award should also go nicely with her seven Nebulas and eleven Hugos. Click through for appreciations of her work from John Scalzi, Joe Haldeman, and others.